A vacuum leak detector works by checking the pressure in a vacuum tank, if the pressure decreases or rises for some reason it will sound an alarm since it sees this as a leak. This is often the case in systems that require that a constant vacuum be maintained, the slightest of vibration in terms of pressure can result in big problems with a machine which is why it needs to be so closely monitored. However, there are various types of vacuum detectors some of which are small and portable, often used by auto mechanics to check a car’s engine for vacuum leaks. Conventional detectors: Still used by many industries including the automotive industry. The accuracy is pretty good but they are difficult to use and malfunction too often. Electronic detectors: These use a series of sensors and electronic gauges which help to give a precise reading of the vacuum’s pressure. In addition it can help to instantly detect a leak. Electronic detectors are expensive so they are usually used by heavy industries. Which type of vacuum leak detector should I buy? If you want to use a vacuum leak detector at home to probably check the pressure in your car’s engine or some other item in your home, then you should buy a hand held vacuum leak detectors. Portable detectors are easy to use and they are cheap as compared to some of their larger counterparts. However, the majority of cheap hand held detectors use gauges to detect fluctuations in a vacuum, there are a few handheld ones that use sensors but you’ll probably need to search online to find them. 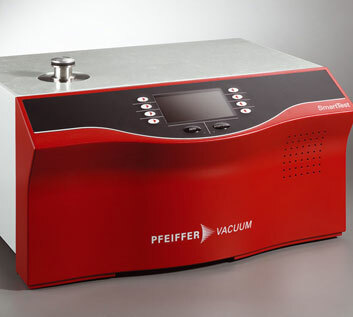 When purchasing a vacuum leak detector for personal use always make sure that you are purchasing the right detector for the job you are about to undertake as every detector is slightly different in terms of how it connects to a vacuum tank or devise. How much does a vacuum leak detector cost? The cost of a vacuum leak detector will mainly depend on what type it is and where it is manufactured, for instance small handheld detectors are cheaper as compared to larger industrial detectors. In addition detectors made in China are the cheapest but do not last long and are not very reliable. If you are looking for reliability you may want to invest in a leak detector manufactured locally. In most cases you shouldn’t expect to pay more than $300 for a detector. What is an industrial vacuum leak detector? This is a large vacuum leak detector which is used in industries rely on high pressure vacuums. These detectors often need to be a part of the machine so that it can be constantly monitored. These detectors can cost thousands of dollars and require a few thousand more for installation.